Do you want to know how you can tell that infographics are dead? Staples just released one for tablets. 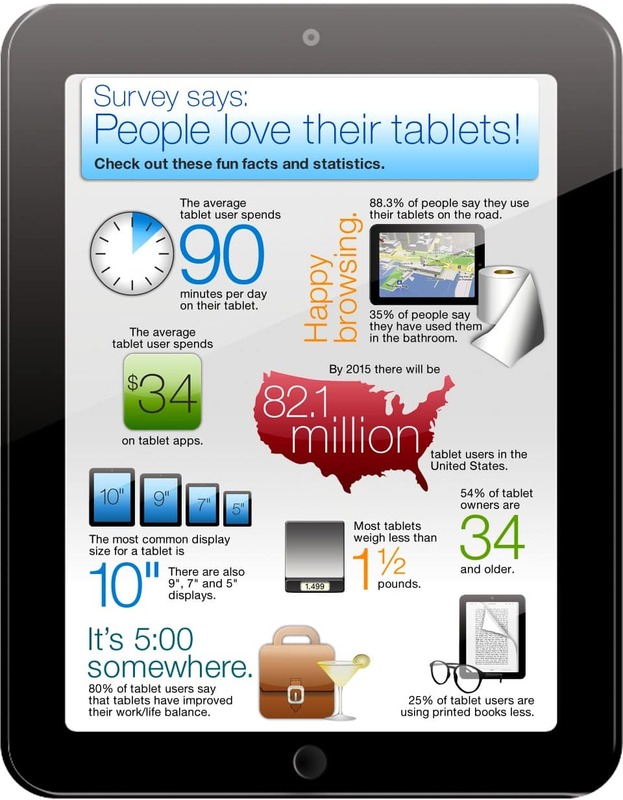 Yes, the office supplies retailer has pulled together tablet related facts from number of sources and created the infographic below. Joiking side, I wish they'd made one that covered less common topic. For example, I'd like to see one on Sharpies. No, seriously, I think it would be an interesting read and it would be an infographic that no one else had done. Business cards, staplers, and other office supplies would also make for interesting infographics. Bubble wrap would make a great topic for an infographic, don't you think? Interesting stat in the lower right corner. Inverting it we learn that 75% of tablet users still use paper books as much as ever. That should put to rest the notion that traditional books are becoming obsolete. I must be missing something. I found the infographic quite interesting. Why did you mock it? I think I was tired, and that led easily to flippancy.